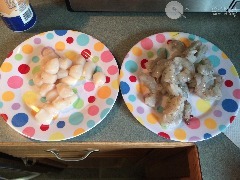 Wash and pat dry your shimp (and scallops) and salt and pepper. 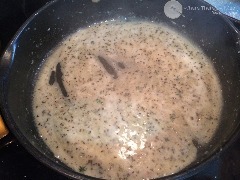 Over medium heat, melt 2 tablespoons of butter and 1 clove of grated garlic. ​When butter has melted, add your shrimp (and scallops) and cook, flipping over to cook evenly (about 2 minutes each side). Once you have flipped, add 1 tablespoon of lemon juice and 1 tablespoon of white wine. 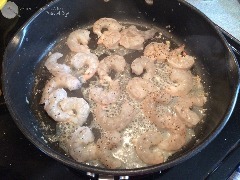 Once they have finished cooking, remove shimp from pan. 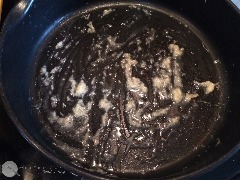 Grate another clove of garlic and add 2 more tablespoons of butter to frying pan. Add 1/4 cup of lemon juice and a 1/4 cup of white wine and let simmer. Add 2 teaspoons basil, 1 teaspoon of thyme, salt and pepper and stir together. 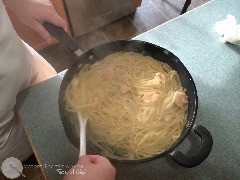 Add 1/4 cup of cooking liquid from pasta to sauce to help bind the noodles to the sauce. 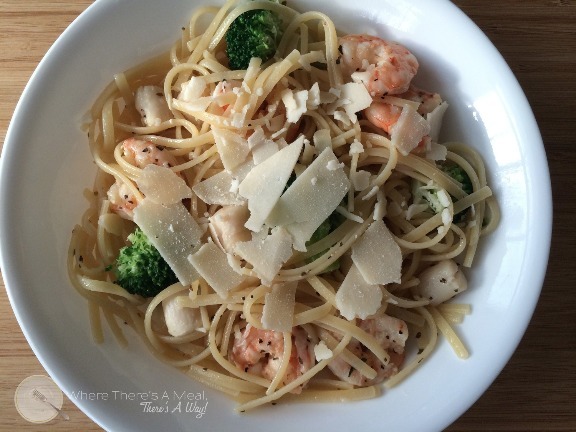 Drain your pasta and add cooked shrimp and pasta to your sauce and stir together. 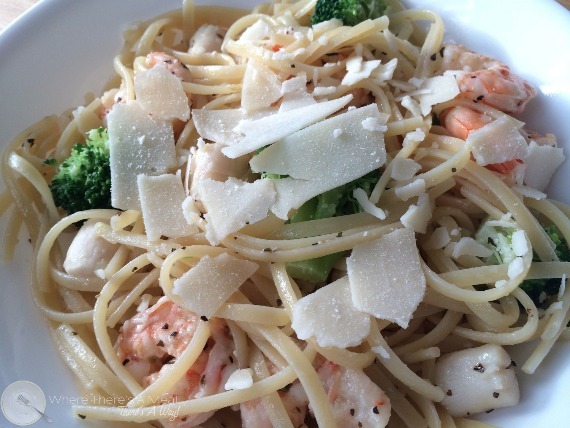 Top with grated parmesan cheese and steamed broccoli. 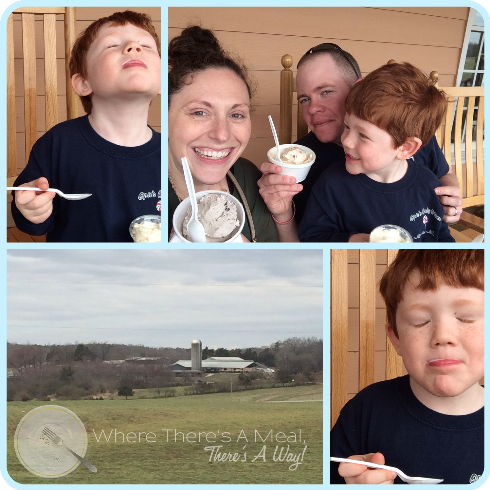 On a whim, we decided to go to Maple View Farms, which is about an hour and half drive, round trip, to get some fresh ice cream. The ice cream is all made right on the property and on certain days you can actually tour the facilities and watch the process of creating ice cream and other dairy products. After enjoying our delicious scoops of ice cream, we headed home and arrived just before 4 o'clock. Dinner time was approaching fast, and I needed something I could throw together in under 30 minutes. By creating a sauce to cook your seafood, as well as toss your pasta in, you have a simple process that takes little time and makes a delicious meal. Tucker said it was so tasty, he would serve at his own restaurant....be on the lookout if he ever opens up Tucker's Diner. So go ahead and take an unexpected adventure with your family. When you get home, you'll have plenty of time to create a homemade, gourment tasting dinner because, where there's a meal, there's a way!